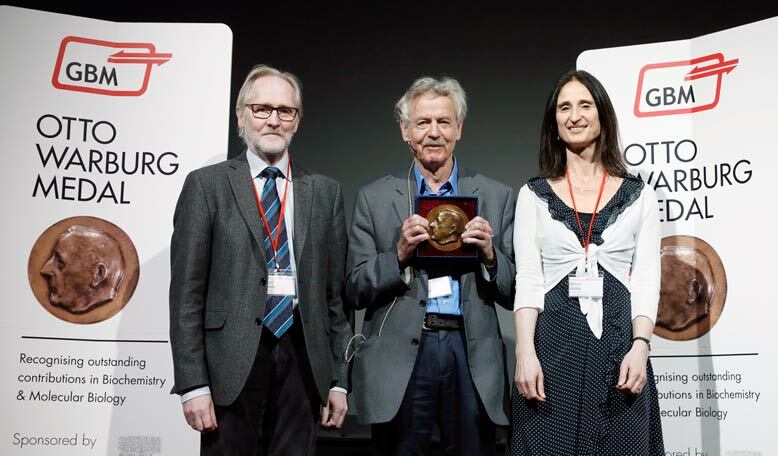 The 2014 Otto Warburg Medal was awarded to Professor Rudolf Jaenisch of the Whitehead Institute for Biomedical Research at MIT Friday at 65th Mosbacher Kolloquium. The German Society for Biochemistry and Molecular Biology (GBM) honored Professor Jaenisch for his pioneering work in the field of epigenetic regulation of gene expression in mammalian development and disease. He is internationally known for his research on embryonic stem cell biology. Congratulations on receiving the medal. How does it feel to be among all these great previous award winners? And will the Nobel Prize be the next challenge? I am deeply honored to have been chosen for such a prestigious prize. It is, however, important for me to emphasize that I only partially and rather to a lesser extent deserve such an honor: the main credit should go to my terrific, dedicated and gifted colleagues who made all this possible. Collaboration in science increasingly play a role in the success of research results. An effective exchange of data and expertise increases the quality and reproducibility of results. How important do you consider collaborations? Collaborations of laboratories with complementing expertise are indeed crucial for science, particularly today when technically highly complex tools such as sophisticated genomic approaches need to be used. Presently, my lab is collaborating with several labs, here and internationally. Even here in Boston, we have quite a few collaborations, for example, within the MIT or with Harvard. We are variously connected and have substantial collaborations all over the world. These cooperations are variously formed and different in intensity, but the scientific exchange is always extremely important because it is about expertise and complementation – that´s the crucial point. To make a European comparison, Germany is also well positioned in this area. In 2012, about 45 percent of the articles were published in international co-authorship. Do you collaborate with a German research institute yourself? Yes, I have had much collaborative experience with German groups in the past. At present, my laboratory has an ongoing and productive collaboration with the laboratory of Frank Lyko at the German Cancer Center in Heidelberg. Frank Lyko used to be a postdoc in my lab. Now our lab benefits from his expertise in genomic analysis. You have been in the US for more than 40 years. What are the main differences between stem cell research in the US and in Germany? While stem cell research is active in Germany, I believe that the German laws make it cumbersome and often difficult to work in the stem cell field. As a scientist, I want to do relevant and interesting science. It is understandable and justified that society wants to make sure that science is done at high standards and in accordance with clear rules such as the ethical treatment of animals. But it is problematic if dogmatic or ideologically motivated laws are set that interfere with the fundamental quest for new knowledge. The USA gives me more freedom in doing this – despite all the regulations that are in place also in the US. Singapore, Italy, the US, Japan and Israel are among the most productive research countries in the field of Stem cell research, according to the report Stem Cell Research: Trends and perspectives on the evolving international landscape. In your opinion, what are the reasons Germany is not one of them? 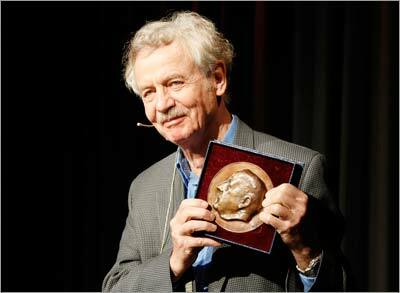 Dr. Rudolf Jaenisch is Professor of Biology at the Massachusetts Institute of Technology and a founding member of the Whitehead Institute for Biomedical Research at MIT. 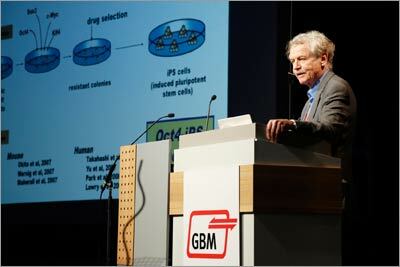 He has made enormous contributions to the understanding of epigenetic mechanisms. Dr. Jaenisch created the first transgenic mice, which enabled researchers to study epigenetic control of genomic viral DNA [AB1] and which advanced the epigenetics field through the studies of knockout mice and, most recently, cloned mice. Before coming to Whitehead, he was head of the Department of Tumor Virology at the Heinrich Pette Institute at the University of Hamburg. He has coauthored more than 375 research papers and has received numerous prizes and recognitions, including the Robert-Koch-Preis in 2002 and an appointment to the National Academy of Sciences in 2003. He was born in 1942 in Wölfelsgrund, Germany. He studied medicine at the University of Munich and, after receiving his doctorate in 1967, was a post-doctoral fellow at the Max Planck Institute for Biochemistry in Munich. There is excellent research in this area in Germany. However, in my experience, the cumbersome and prohibitive laws in Germany that inhibit stem cell research are a disincentive for young outstanding German scientists, trained in the US, to go back to Germany. They often find it far more attractive to find a position in the US. In Germany, there seems to be an element of mistrust towards science in the fields of genetics or stem cell research leading to very restrictive policies. Perhaps there is not enough science education in schools – although, I am no longer familiar with the German school system; it has been too long since I was a student myself. Would you return to Germany as a scientist? Why or why not? Sure, I would consider it, although the research environment at MIT is excellent, and I have little direct incentive to change my present position. I really don´t want to lose my research environment at the MIT. I think it is the most important thing to have a microcosm of scientists who are working together daily and used to having a direct and personal exchange. But in all these years in the States, I never felt I wanted to desert Germany – it was always a question of where I have the better opportunities for doing science. Actually there is some motivation to return to Germany, such as the funding aspect. In this field, Germany and its different political institutions and scientific foundations are far more generous in comparison to the US. That makes Germany attractive. On the other hand, especially in the field of stem cell research, it is extremely difficult to conduct independent research because of German legislation. In fact, one becomes a go-between – not really belonging to the one or the other world entirely. So, change is always possible. But I enjoy my time here tremendously. A prize such as the Otto Warburg Medal encourages young researchers to achieve high-quality research results. What is your advice for young German researchers for a successful career in science? Most experiments fail, and you have to be able to cope with the frustration – this is, I think, one of the more important lessons a student has to learn during their thesis work. Nevertheless, I think it is crucial to take risks and to choose a problem you are excited about and to focus all your energy on it. Of course, for success, a good portion of luck is also needed. But a young scientist should follow a deep interest in their chosen problem, and work extremely hard on it for many years. The primary motivation should not be career considerations but the excitement about their chosen problem and how to solve it. Since 1963, the Otto Warburg Medal has been awarded to commemorate the outstanding achievements of the eminent researcher Otto Heinrich Warburg. The award promotes outstanding scientific excellence and encourages ground-breaking achievements in fundamental biochemical and molecular biological research. Elsevier and its flagship journal BBA – Biochimica et Biophysica Acta are exclusive sponsors of the medal. To emphasize the importance of scientific research and motivate young researchers to achieve outstanding results, the prize is endowed with €25,000. 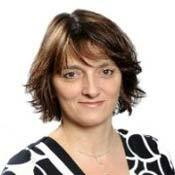 Petra Ullrich holds a Master of Science degree in biology from the University of Heidelberg and has worked for Elsevier for almost 10 years. She has in-depth experience in marketing and communications in scientific environments and currently manages a team of regional marketing managers in Western Europe. Last week, she interviewed Professor Rudolf Jaenisch about the Otto Warburg Medal, his research and the differences in stem cell research in Germany and the United States.